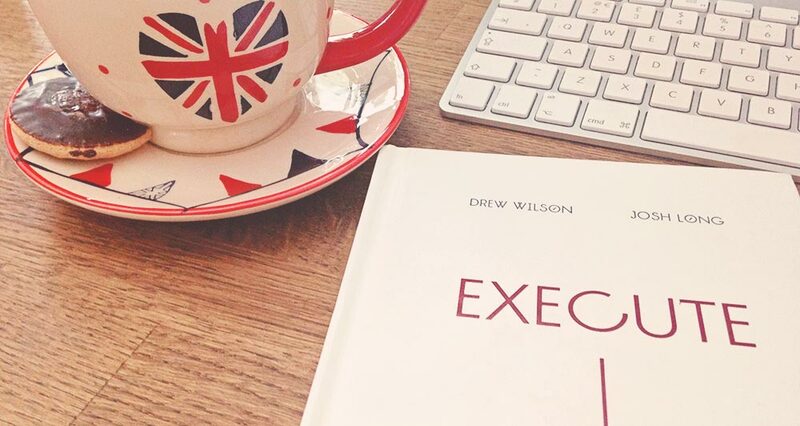 Josh Long, my partner in crime on Happy Monday – sent me his book ‘Execute’ a few months back. I opened the beautifully presented book, saw a nice hand-written note from Josh and started to read. Back then, I found it very hard to concentrate on anything due to a personal tragedy that had happened – I found myself reading the first chapter over and over again, hoping the words jumping around the page would make sense. I closed the book and mentally said “that’s for another day…”. In the meantime, I’d been speaking to Josh at various points via Skype. Josh had pointed out that an entire paragraph of the book had been duplicated and now the book was printed, he seemed disappointed but still with the lovely nature I admire him for, shrugged it off and said “ah well”. After finishing the book a week ago last Monday, I think this duplicated paragraph perfectly illustrates the ethos of the book, I’ll come onto that in a little bit. The book itself is wonderful. Its format, reminded me of Rework by 37Signals – which is perfect for me. Succinct, shorter style chapters, and a lesson to be learnt and applied at the end of each chapter. I read Execute, almost entirely, on a train journey home from my iOS Workshop. The combination of the narration from Josh and the practical advice from Drew, really makes this book a killer read. It talks about real-world problems and how to overcome these and push through a project to completion – fast, or as us Brits like to say, without dilly-daddling. That duplicated paragraph spoken about earlier – is towards the end of the book. I got to it whilst finishing up the final chapters in the bath one morning. I tilted my head to the side as I recognised this was the mistake Josh referred to, but then realised it didn’t interfere with my enjoyment of the book whatsoever. If anything, it’s a lesson to be learnt that although the book may not be 100% perfect, the fact it was created and shipped in 8 days, and now being enjoyed all over the world was a lesson to all of us. Mistakes are forgiven – don’t let potential mistakes hinder you from shipping something that brings far greater enjoyment than tiny mistakes that may be contained within. Your audience is always forgiving, you’re only human afterall. Execute can be purchased either as a hardcover ($29) or eBook ($15).